From its enviable position as a leading operator of more than 700 campus bookstores, Barnes & Noble College has a front-row seat to the needs, preferences and behaviors of the nation’s students. Barnes & Noble College’s research platform and on-campus and digital engagement strategies have established trusted and enduring relationships with millions of Millennials during a key stage of their lives. This market research platform is now being expanded in an effort to help the company’s partners – colleges and universities, consumer brands and publishers – better understand the thinking, behaviors and expectations of current and future generations of college students. “The deep consumer insights we gain from our research fuels everything we do and gives our partners a strategic advantage in understanding their most important audiences,” says Lisa Malat, VP Operations & Chief Marketing Officer, Barnes & Noble College. 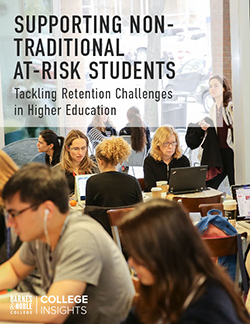 “For colleges and universities, the insights we gather help meet their highest-priority goals, particularly student retention and recruitment,” she adds. An example of how the company provides that strategic advantage is in the research initiative the company recently developed to support universities’ focus on student and alumni outcomes. 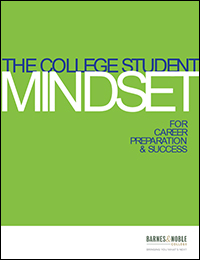 The College Student Mindset for Career Preparation & Success represented a unique and in-depth study examining students’ level of career preparation; their perception of what skills and experiences are desired by companies; and what they are looking for in work experiences, training and benefits. Developing from far more than a singular academic research study, the insights provided inspired an experiential program Barnes & Noble College that delivers a combination of in-person and online workshops to equip students with the tools, resources and skills they need to position themselves for early career success. With the largest college bookstore digital network of its kind, and on-campus access to five million students nationwide, Barnes & Noble College believes its research platform is an opportunity not only to develop insight into the student experience, but also provide an opportunity to build more effective and meaningful campus programs. “We partner and work closely with brands to ensure they engage with students in timely, relevant and inspiring ways, and with the kind of dialogue that will foster long-lasting relationships extending beyond graduation with the ability to deliver ongoing results,” explains Marie Policastro, Director, Partnership Marketing and Research, Barnes & Noble College. Most recently, those kinds of partnerships have produced research examining student preferences and behaviors in areas as diverse as the automotive, café and convenience, and personal beauty categories. 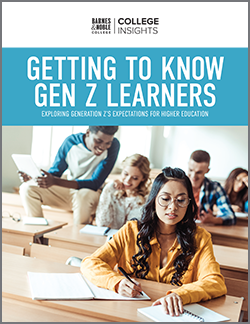 Upcoming initiatives include a groundbreaking, intensive study on Generation Z and their academic preferences and expectations for college, followed by an in-depth look at non-traditional students, veterans and first-generation college students. Capabilities of the Barnes & Noble College research platform include a full suite of quantitative research, qualitative research, ethnographic research, omnibus studies, shopper insight research and on-site testing with data and analytics powered by proprietary faculty and student online research panels.